After gaining the mastery of hardwood flooring from Norwegian craftsmen in the mid 1970's, Nordic Hardwood Flooring has brought new life and vibrant beauty to homes and businesses throughout Chester County and the surrounding areas. Originally Scandinavian Hardwood Flooring, Nordic Hardwood refinishes existing floors and installs all species of hardwood, antique and pine flooring. We install pre-finished hardwoods from major manufacturers and we install wood floors to be finished on site to your custom requirements. For your custom job, choose from limitless combinations of woods, inlays, featured borders, transitioning from carpet, tile or marble. 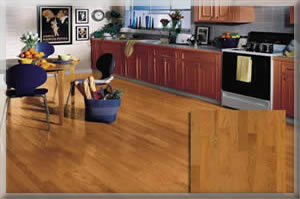 Your flooring design is discussed and planned by caring professionals, with attention to your needs and details. After installation and sanding with dust collecting machinery, a stain color of your choice and low VOC polyurethane finish is applied to your beautiful flooring. With state of the art finishes, care and maintenance is easier and effective in keeping your new or newly finished floor looking beautiful for life. Let us tell you how to care for it so you'll never need to sand it again. A new hardwood floor is an investment for the future with unparalleled beauty and increased market value for you home or business. Restoration, patching and refinishing old existing floors is our specialty, restoring their natural beauty. Whether it's a repair or restoration, sanding or buffing, staining or screening and recoating; we use the best methods and finish technology with old-world care and unmatched attention to detail. Nordic Hardwood Flooring repairs and refinishes floors which other hardwood companies say "must be replaced" ......so don't replace your existing floor before getting advice and an estimate from Nordic Hardwood Flooring.